April always seems to be a big month for entertainment -- it's when people peek outside looking for shows after a winter spent inside, when theatre companies announce their new seasons and start hawking subscriptions, when TV shows gear up for spring sweeps, and new work starts cropping up at festivals around the country. First, let's just get Mad Men out of the way right off the top. AMC's amazing piece of television history begins its final season this Sunday night, with ad man Don Draper and his colleagues, wives, lovers and kids taking a trip to the 70s. Watch out for polyester, plaid and a major infusion of facial hair. Where will Don and Peggy and Roger and Joan end up? Given what we've seen so far, happily ever after doesn't seem likely. Neither does Don ending up as D. B. Cooper, but that doesn't stop people from continuing to guess it. I don't think there is any particular Tennessee Williams anniversary or event that we're celebrating this month, but it's not like the work of this quintessentially American playwright ever goes out of style. Thomas Lanier Williams, AKA Tennessee, was born March 26, 1911, and here he is, 104 years later, with his plays still a hot item on the stage. 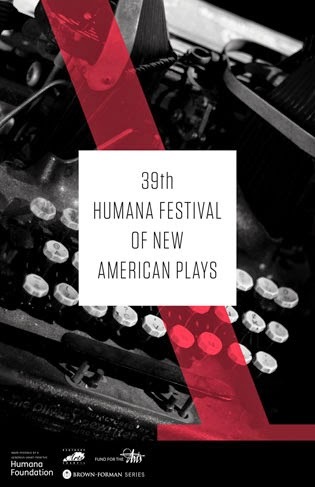 In fact, from Normal to Urbana, there is a Tennessee Williams Trifecta available this month. You can easily do all three if you have a hankering to compare/contrast, from the film version of A Streetcar Named Desire to perennial favorite The Glass Menagerie and upstart Not About Nightingales, all within a 50-mile radius. 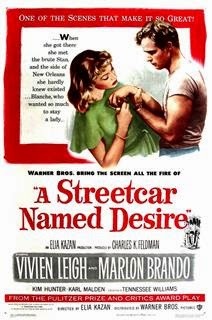 Elia Kazan's 1951 movie version of A Streetcar Named Desire was nominated for a dozen Oscars, winning four, including Best Actress for Vivien Leigh as Blanche, Best Supporting Actress for Kim Hunter as Stella and Best Supporting Actor for Karl Malden as Mitch. Kazan had also directed the Broadway version of Williams' steamy drama, with Marlon Brando, Hunter and Malden in the same roles. There is much to admire and much to chew on in the movie, too, with Leigh almost translucent as poor, fading Blanche, and Brando giving a Method acting clinic as crude, sexual, red-meat-eating Stanley Kowalski. When Blanche and Stanley are thrown into conflict in a tiny, stifling, much-too-crowded New Orleans apartment, something's got to give, and we all know it won't be pretty. This Streetcar plays four times on the screen at the Normal Theater, 7 pm each night between April 2 and 5. Streetcar on film is a perfect appetizer for The Glass Menagerie, which will be live on stage at Heartland beginning April 9. ISU professor Connie de Veer portrays Amanda Wingfield, another faded Southern belle fallen on hard times. Unlike Blanche DuBois, Amanda has children. But her relationship with theme is just as constricted and unsuccessful as anything Blanche attempts. Son Tom wants nothing more than to get out of the apartment to live a life of his own, but if he goes, he will have to leave his fragile sister Laura behind. Don LaCasse director Glass Menagerie for Heartland, with Joe Faifer as Tom, Elsa Torner as Laura and Patrick Riley as the Gentleman Caller. Performances continue through April 26, with a talkback with the cast scheduled after the Sunday matinee on April 19. For all the details, click here. The Urbana part of the Tennessee Williams equation is a lesser-known work called Not About Nightingales, directed by Tom Mitchell at the Studio Theatre inside the University of Illinois' Krannert Center for the Performing Arts. 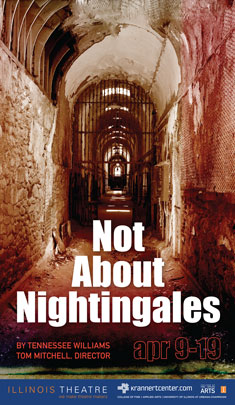 Nightingales opens April 9, as well, with performances through the 19th. Williams wrote this play in 1938, supposedly inspired by a real-life Pennsylvania case of abuse and death inside a prison. In the fictional prison, inmates go on a hunger strike and eventually riot as conditions become unlivable. 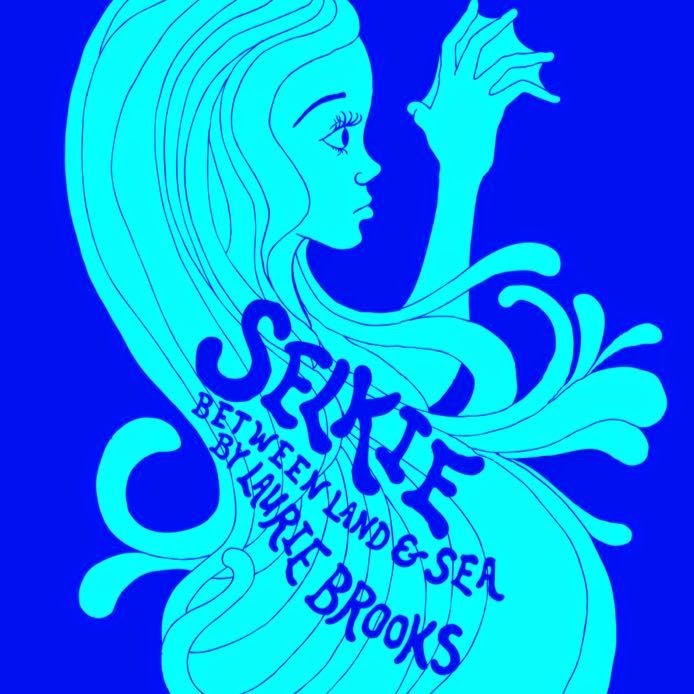 Illinois State University moves far away from Tennessee Williams, into a land of fantasy and folklore with Selkie: Between Land and Sea a lyrical drama by Laurie Brooks, directed by Jessika Malone for ISU's Westhoff Theatre from April 9 to 18. Olivia Candocia plays the mystical girl/seal creature called a Selkie, while Dave Lemmon and Eddie Curley portray the men in her story. For more information, try this link. 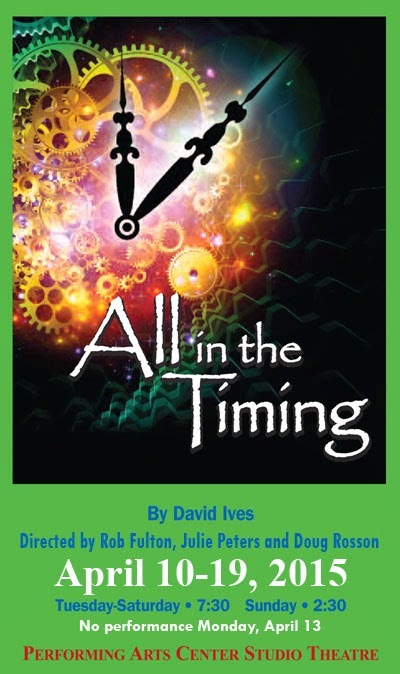 David Ives' All in the Timing is pretty much a perfect program of 10-minute plays, combining humor, commentary on modern relationships, and even a few barbs pointed in the direction of 20th century Russian politics. I'm looking at you, Leon Trotsky! Illinois Central College in East Peoria takes on All in the Timing April 10 to 19, with the Ives' collection directed by Rob Fulton, Julie Peters and Doug Rosson for the Studio Theatre in ICC's Performing Arts Center. Eureka College's Pritchard Theatre is a fairly intimate setting, making it an interesting choice for Tracy Letts' sprawling, messy, dark family comedy August Osage County. There is a very large house at the center of August as well as several generations of the Weston family. Will that fit at Pritchard? Time and Eureka's production will tell the tale from April 14 to 18. Joel Shoemaker directs the Westons and their swirl of family troubles. The Bloomington Center for the Performing Arts is big on improv, which means Broadway's Next Hit Musical, an improvised piece of musical comedy, is right up their alley. You can offer your own suggestions and see if the improvisers spin a new show out of your idea on April 16 at the BCPA. If you like being involved in the show, you may be able to take it a step farther than just pitching ideas out of the audience. You can act, too! Or at least audition. Heartland often uses its annual 10-minute play festival to widen its pool of actors. And why not? There are more than 20 roles up for grabs in nine short plays, with characters ranging from a pair of 18-year-old high school students to a 90-year-old nun. Auditions for Heartland's 10-minute play festival will be held from 7 to 9:30 pm on April 20 and 21 at Heartland Theatre. Appropriate, a firecracker of a play by Branden Jacobs-Jenkins, brings its creepy post-Colonial sins of the father to Urbana's Station Theatre from April 23 to May 9. Is its title referring to the verb "appropriate," meaning to steal, to seize, to convert to one's own possession? Or the adjective "appropriate,"meaning suitable or fitting? I think it's the former, given the plantation setting and thhe echoes of its racist past that continue to plague it. 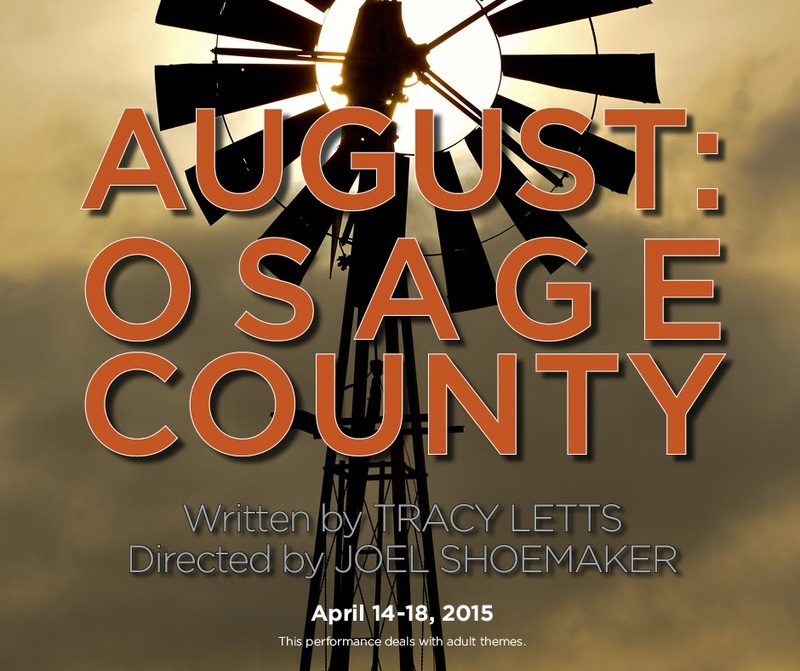 Like August: Osage County, Appropriate centers on a large family home. And the Station Theatre is even smaller than Pritchard over in Eureka. How will the overgrown plantation fit? It's a mystery! Appropriate is directed by Mike Prosise for the Celebration Company at the Station Theatre. Back home in Bloomington-Normal, New Route Theatre offers Black N Blue Boys/Broken Men by Dael Orlandersmith. Look for Black N Blue April 24 to 26 and May 1 to 3 at New Route's new space at 814 Jersey Avenue in Normal. Don Shandrow directs Claron Sharrieff in this one-woman show, an examination of "the captivating life stories of six unforgettable male characters of diverse backgrounds whose inescapable connections tie them together through traumatic pasts."